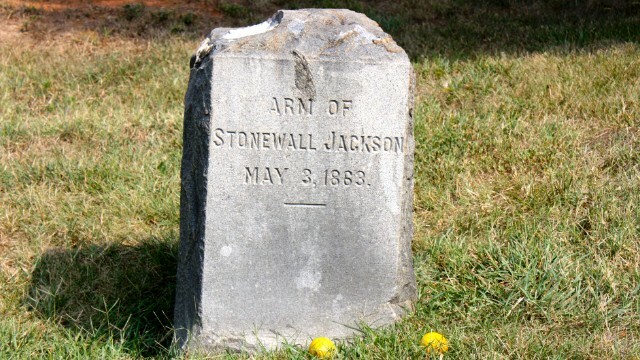 Stonewall Jackson's left arm is interned separate from the rest of his body. Full moon involved in general's death? A full moon hung just right in the night sky as the fierce Southern Army faced the encroaching Union troops in the spring of 1863.